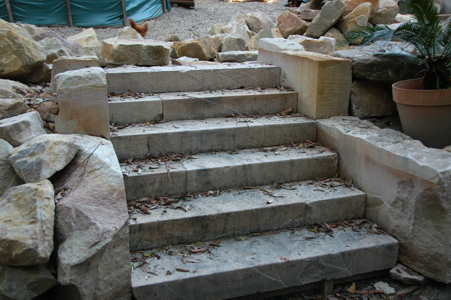 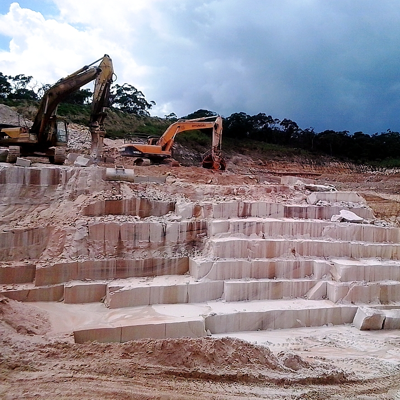 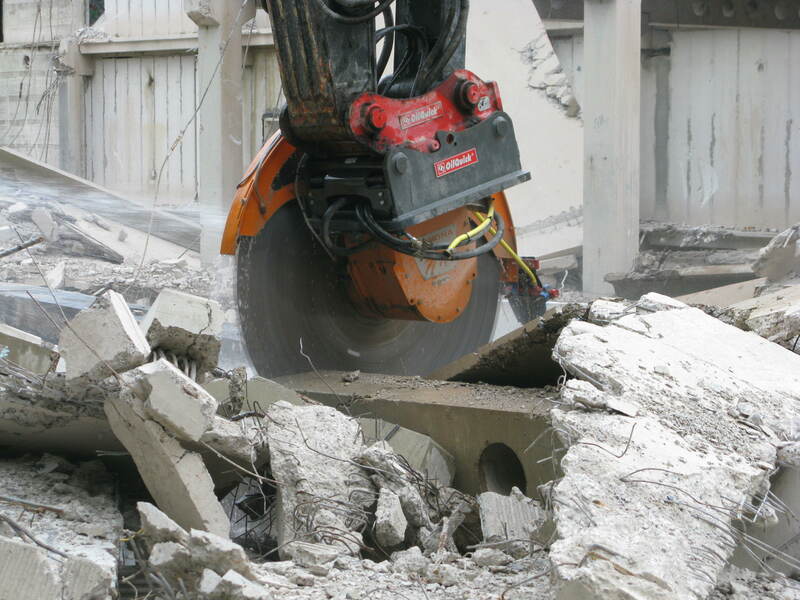 For demolition of reinforced concrete, steel, fibreglass and stone structure, Echidna diamond rocksaws can be an invaluable tool. 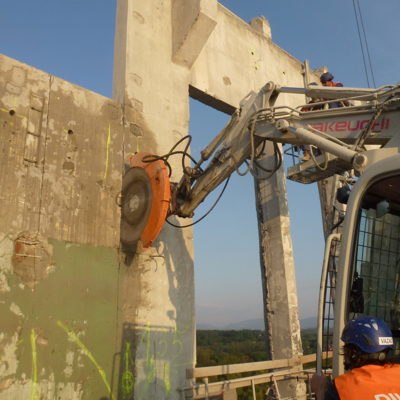 They increase productivity and reduced the risk of vibration damage to structures. 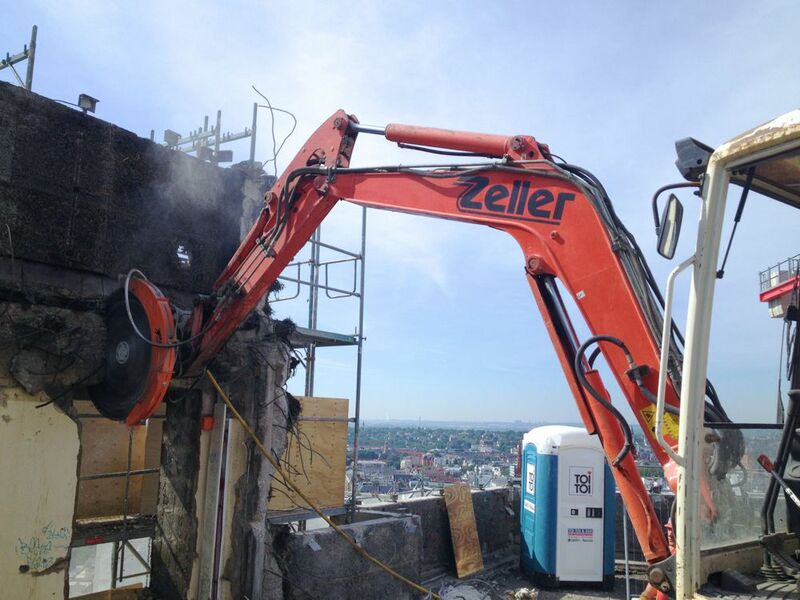 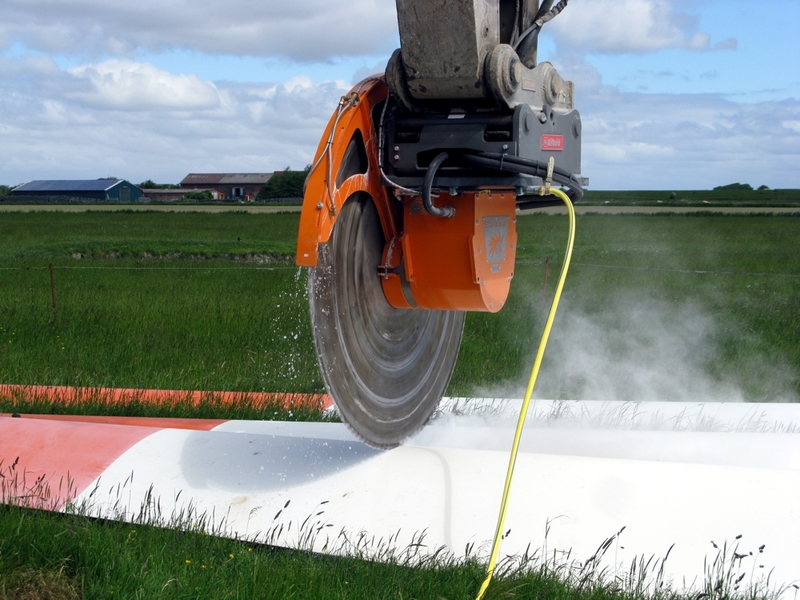 They can provide greater safety to operators than some alternative demolition methods. 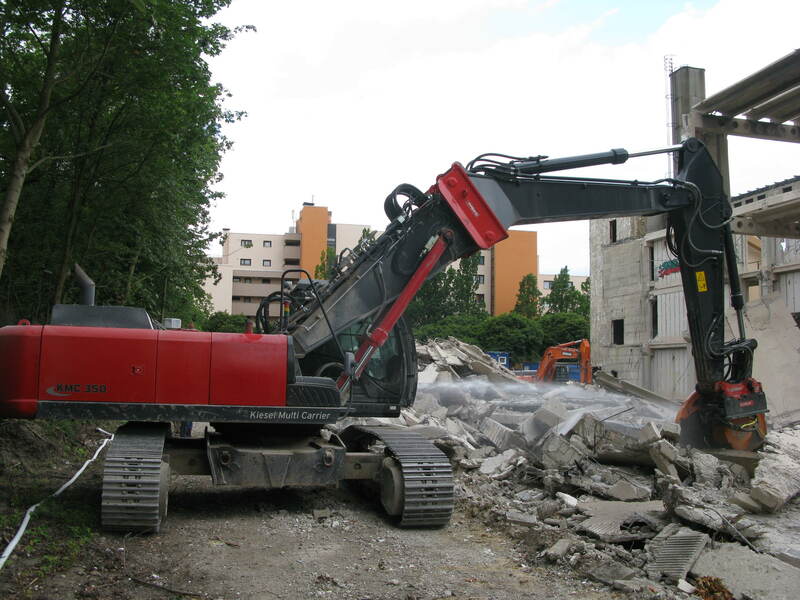 They can also be used on smaller excavators and robots to replace the hand-held and small push-along demolition saws. 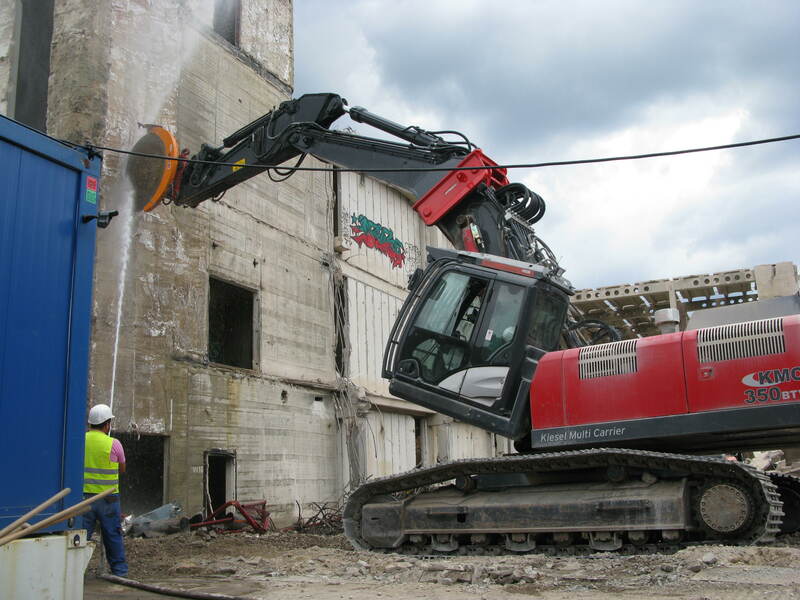 They can also be used in conjunction with hammers and other excavator attachments to increase productivity. 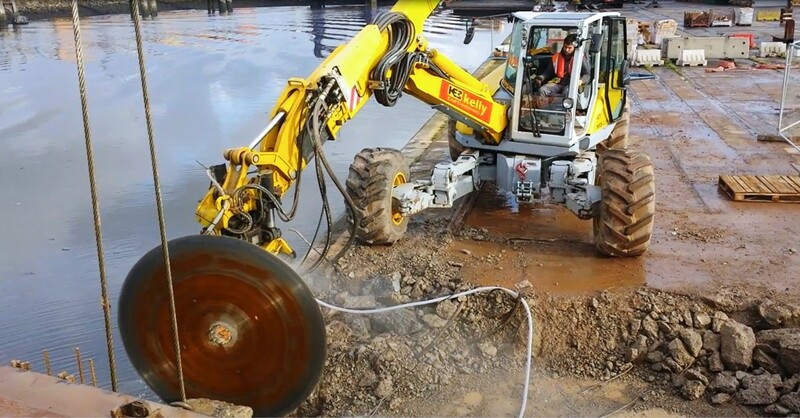 The power available from larger excavators, when coupled with the correct hydraulic concrete saw, can far exceed the dedicated road saws. 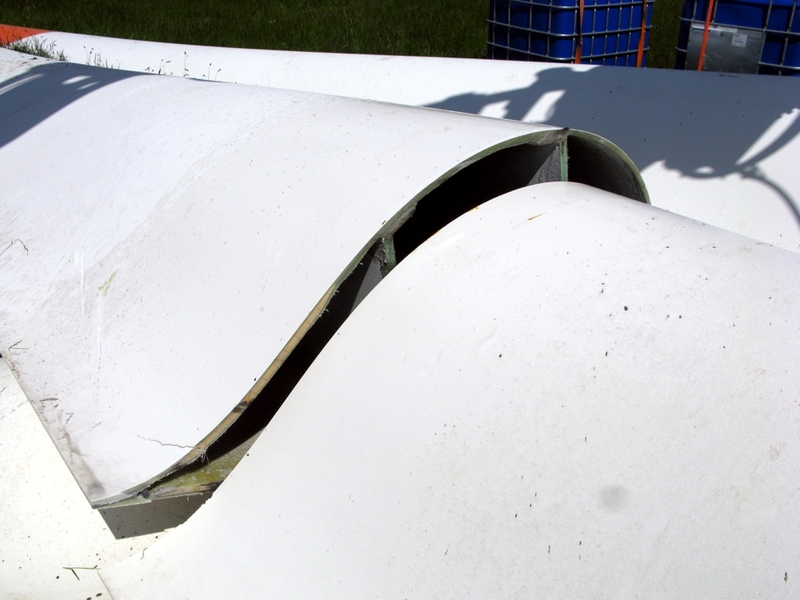 minimal damage to the surrounding environment. 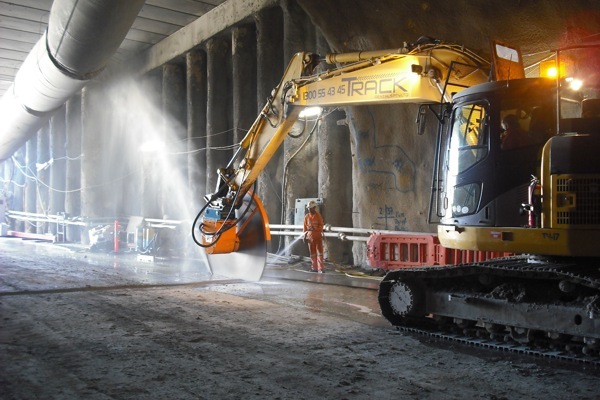 Echidna diamond rocksaws come in a range of models to suit excavators from 900kg up to 60 tonnes, with high speed models specifically designed for cutting reinforced concrete. 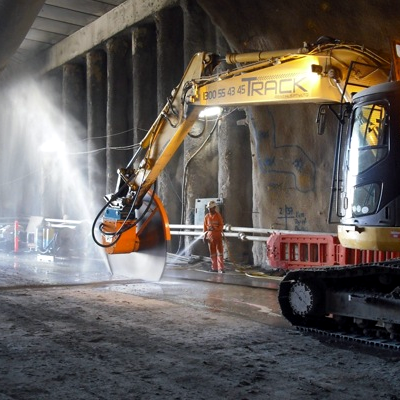 Echidna also produces guide rails which make the saw into a very powerful wall saw unit that does not need to be bolted onto the cut structure. 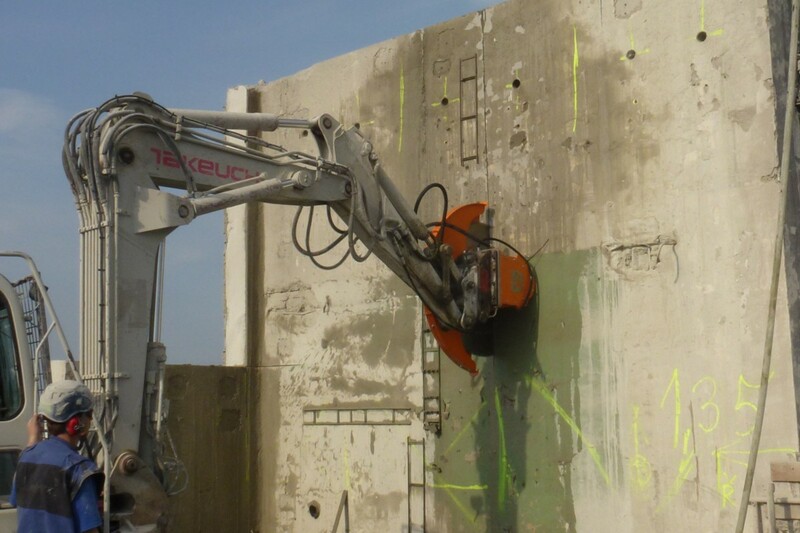 The excavator arm lifts, rotates, tilts and holds it in its place on a wall while cutting. 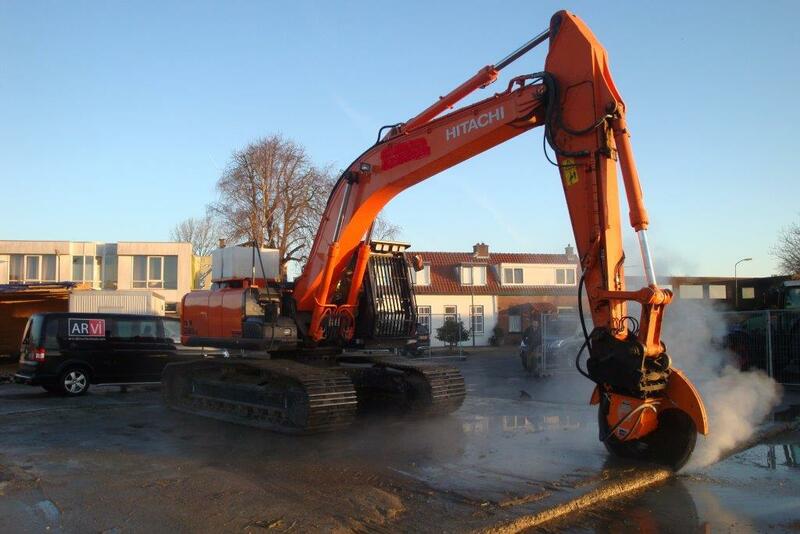 With no time wasted with fixtures it can then move onto the next cut. 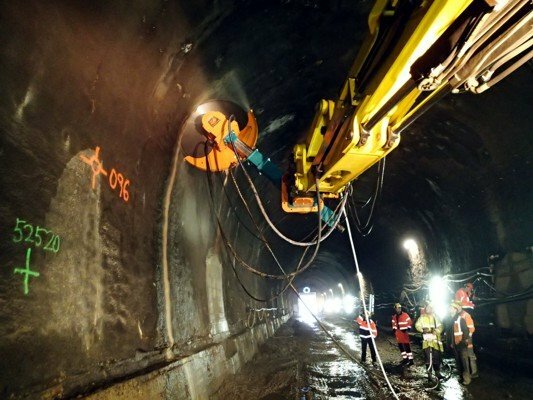 In developed countries, safety and high productivity are important factors in choosing between work methods. 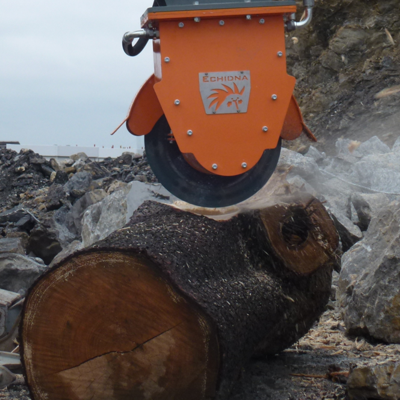 A rocksaw operated from the safety of an excavator cabin has distinct advantages over hand operated tools. 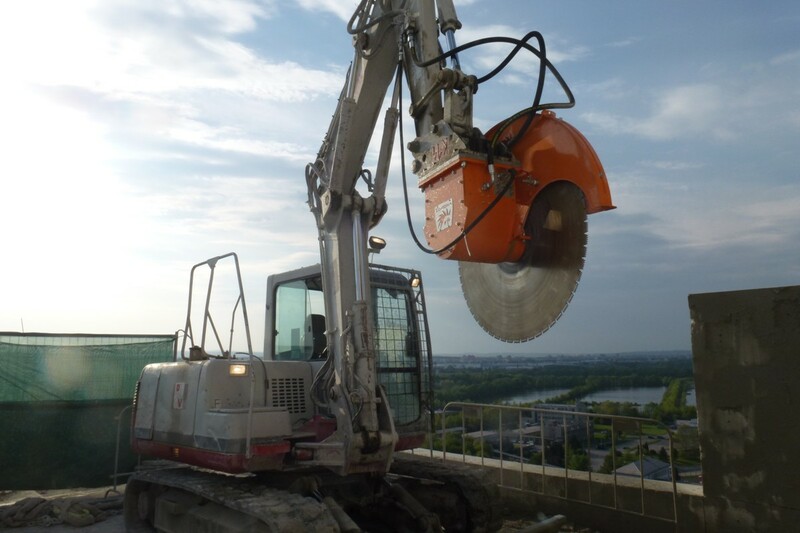 Where there is an automatic brake on the saw blade, the operator cannot touch the spinning blade, and is protected from falling or flying debris. 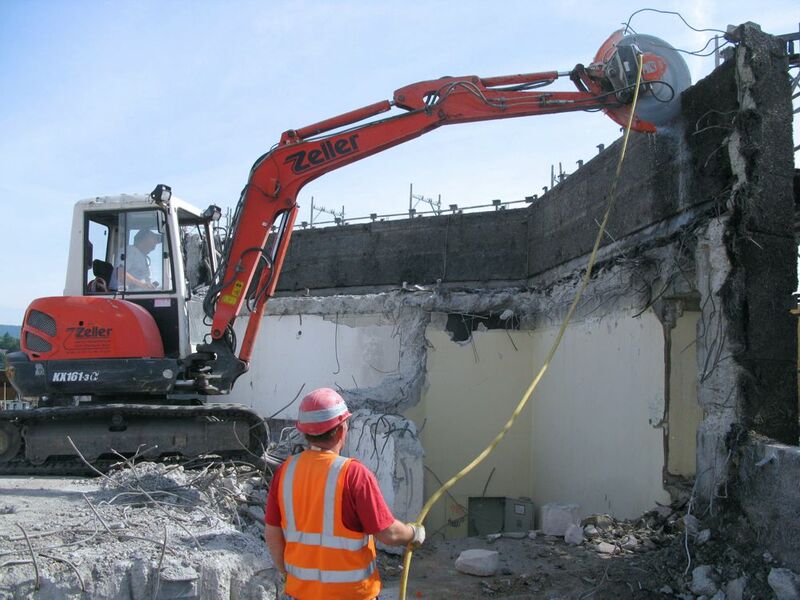 It can be used to reach locations which would be risky for a workman with a hand held concrete saw. 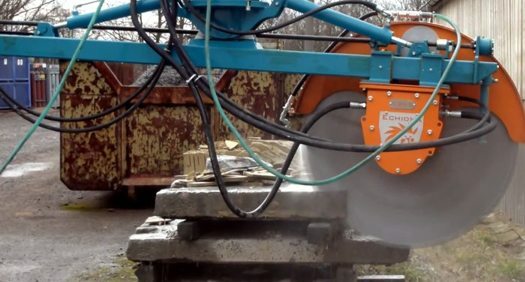 Excavator concrete saws can outperform road cutter saws in terms of cutting speed and flexibility. 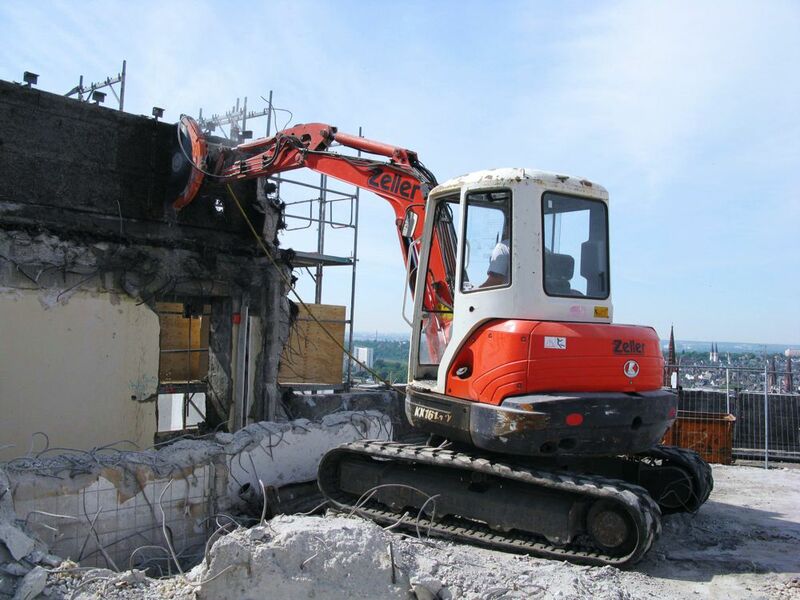 While push-along road cutters are limited to horizontal cutting, excavator saws can be used to cut walls and over rough terrain. 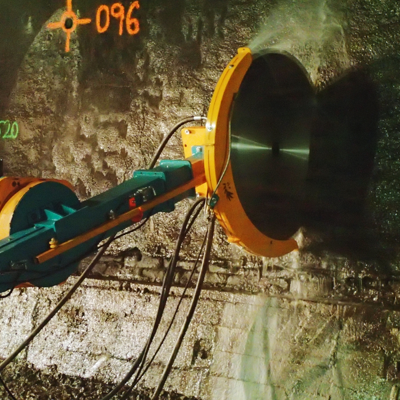 Low vibrations allow for cutting in sensitive or unstable areas. 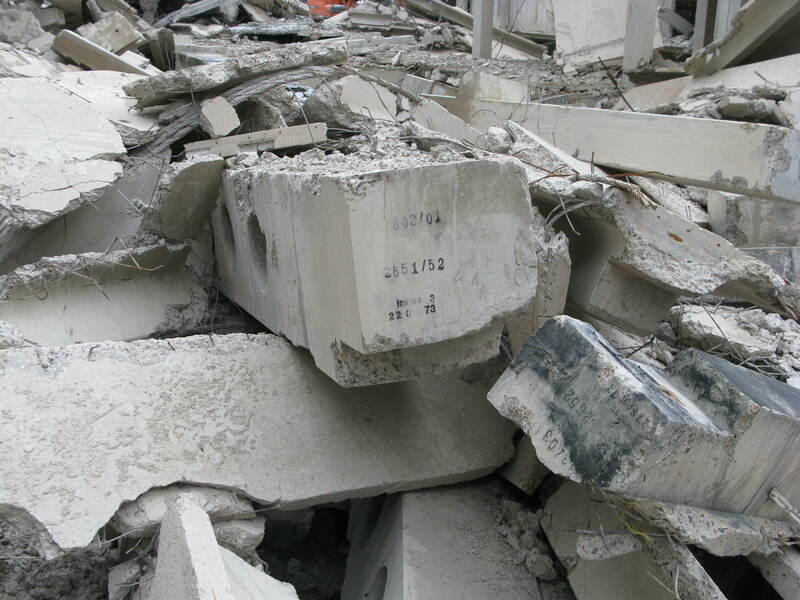 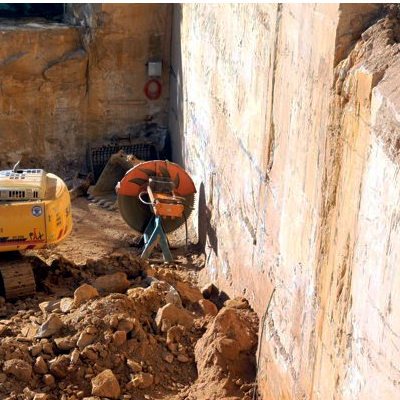 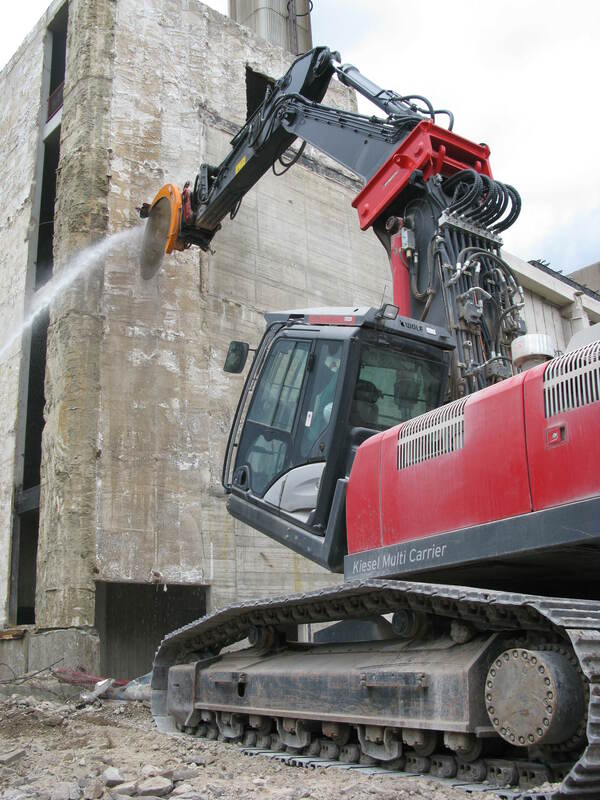 Where demolition is occurring in built up areas, hydraulic breakers can cause cracking in adjacent structures. 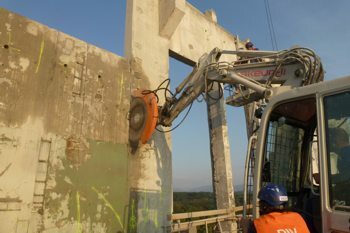 With the reach of an excavator, the rocksaw can be used to cut unsupported structures such as bridges. 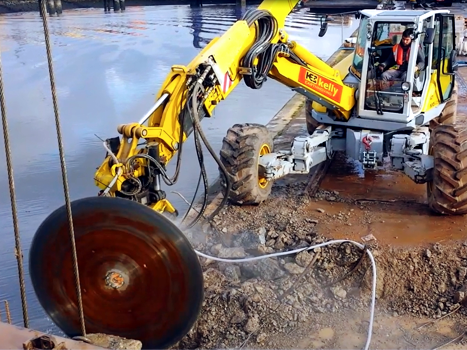 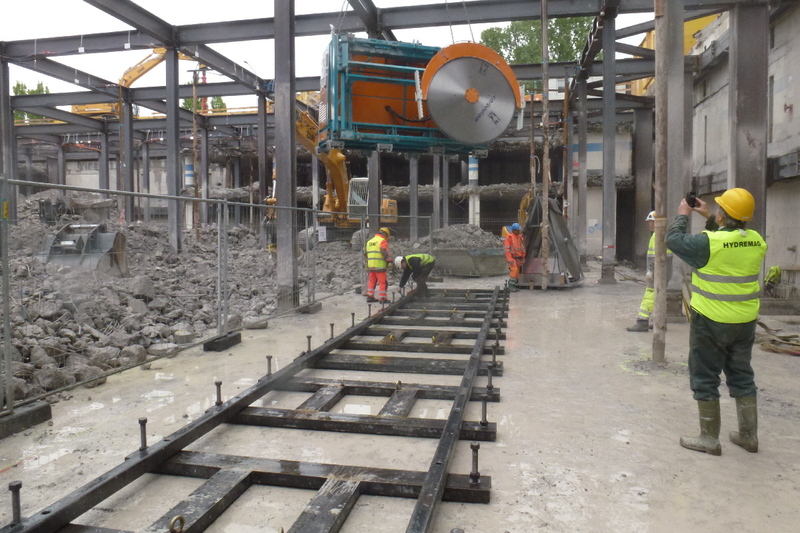 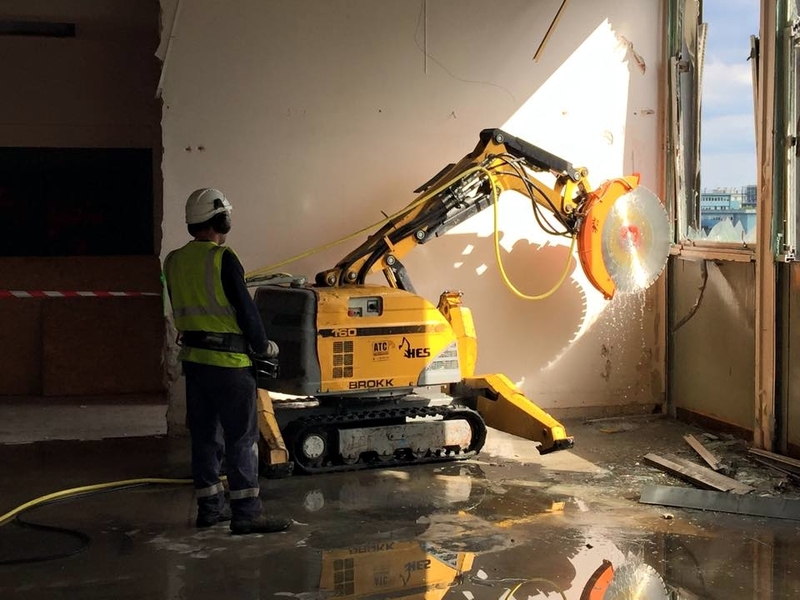 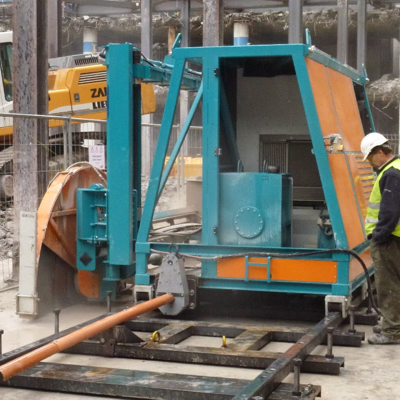 For large concrete slab demolition works, it may be advantageous to utilise one of our automated, self powered concrete cutting machines. 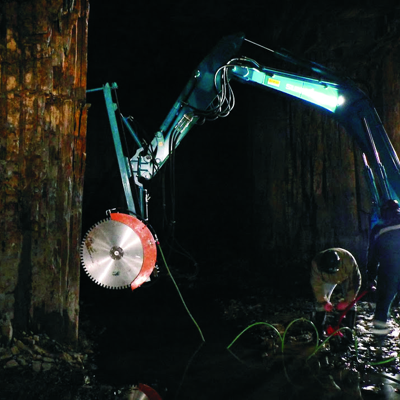 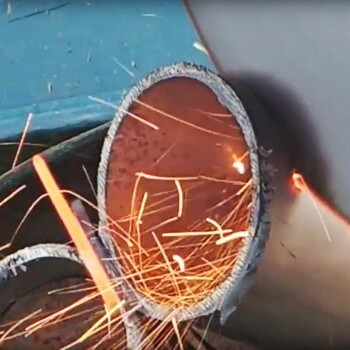 These machines improve cutting rates and blade life, and reduce labour costs. 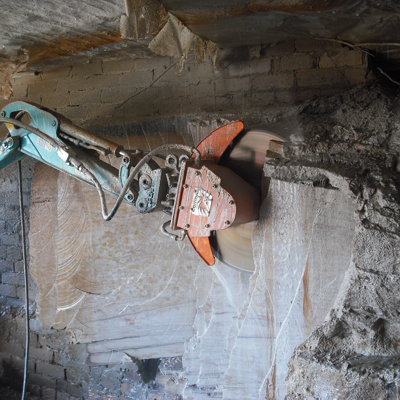 Convert your diamond rocksaw to an excavator powered and controlled wall-saw. 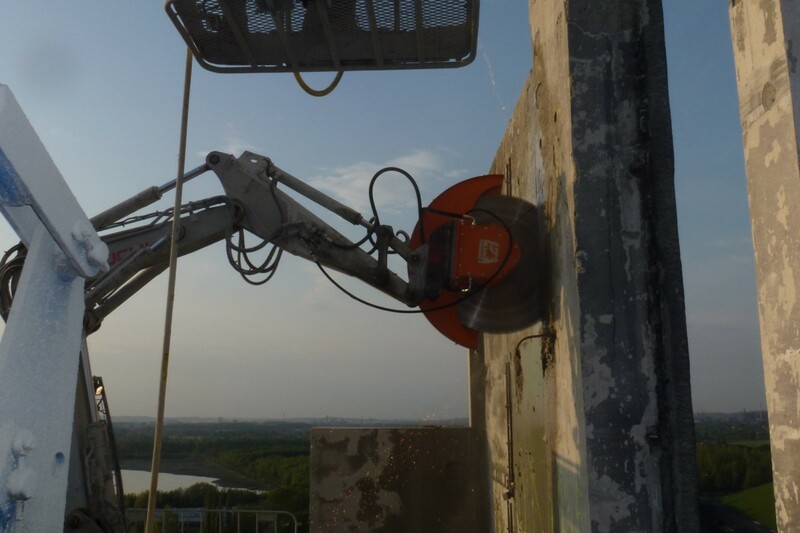 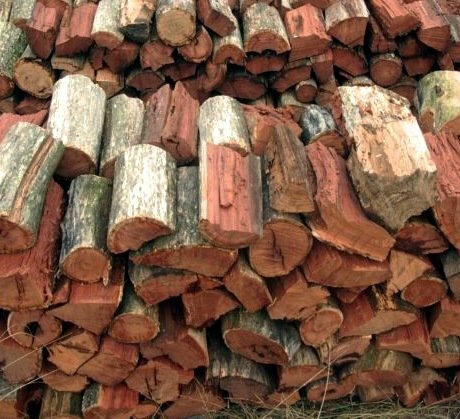 Save set up time as compared with standard wall saws.